Sorry that it's been so long since my last post on here. I've been really busy with my new job at the Western Gazette - and all my free time has been taken up with rehearsals for the latest Broadclyst Theatre Group production: Improbable Fiction. Improbable Fiction is a surreal comedy by Alan Ayckbourn, which centres around a hapless group of writers who are considerably better at talking about their books than writing them. The first half of the show is all about the characters they write about, the plots and the challenges each of them must overcome to get pen to connect with paper. The second act takes a momentous leap from the realms of reality as the world plunges into the would-be plots themselves. 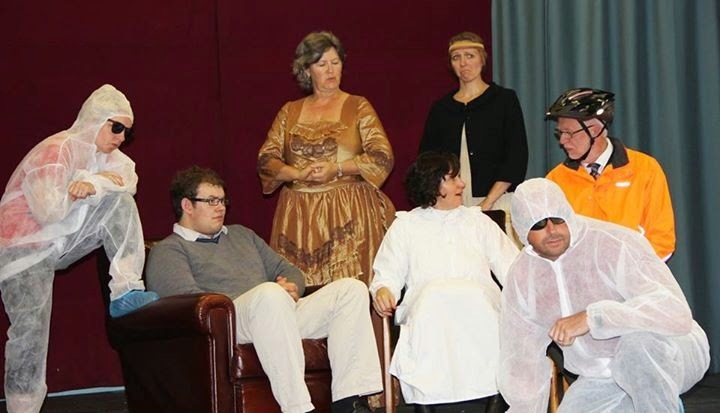 I'm playing Arnold, the organiser of the group who lives with his mother (that's me second from the left at the bottom). This will be my second foray into Ayckbourn, having previously played Norman in Living Together with Warkworth Drama Group back in 2008 (see above). It will also, regretably, be my final performance with Broadclyst Theatre Group. 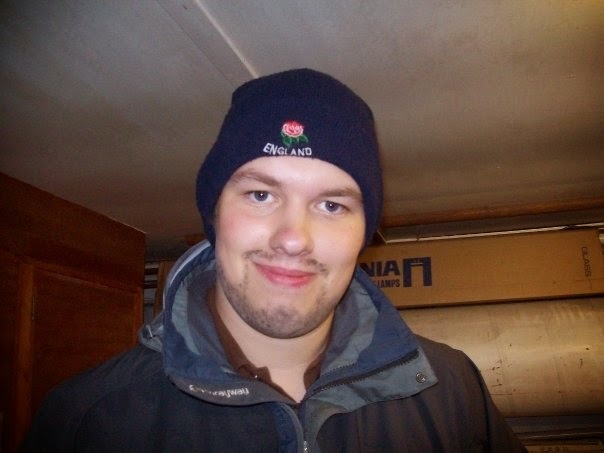 I'm looking to move to Somerset before the end of the year to reduce my commuting time, and my job will involve a lot of evening work as I move towards taking my NQJ exams. Both of these will make it impossible to carry on my Broadclyst commitments - but rest assured, I will be bowing out on a high. 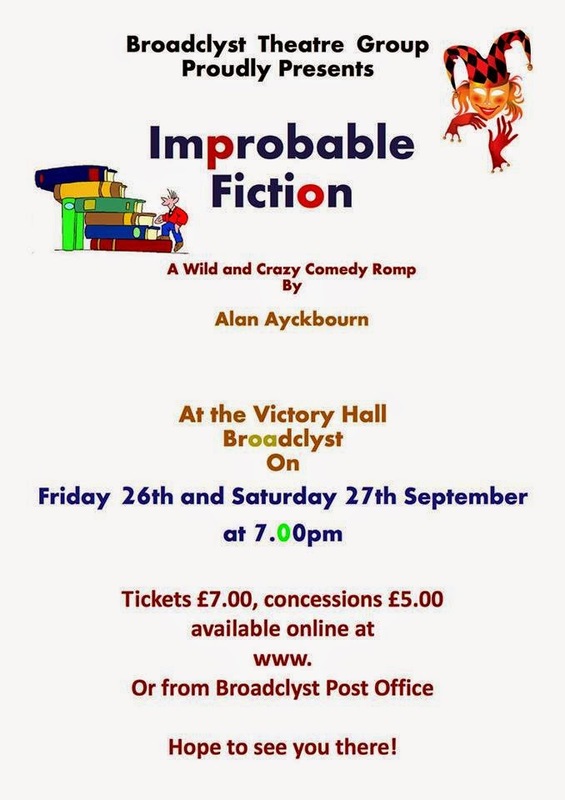 Improbable Fiction is playing at the Broadclyst Victory Hall on Friday 26th and Saturday 27th September. Doors open at 7pm with both performances starting at 7:30pm. Tickets are £7 for adults and £5 for concessions, and can be purchased from Broadclyst Post Office or by clicking here. Hope to see you there!